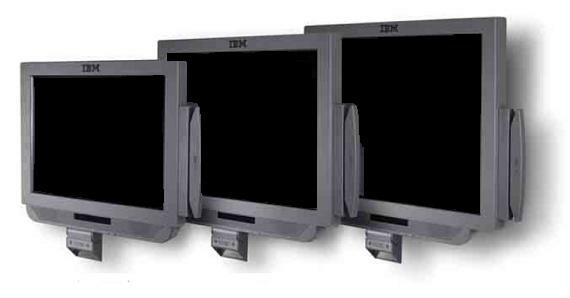 The new IBM AnyPlace Kiosk POS solution provides unprecedented versatility for fast-paced retail locations. It incorporates the AnyPlace POS Hub feature, which works exclusively with the AnyPlace Kiosk system to extend point-of-sale (POS) capabilities virtually anyplace—quickly and easily. This flexibility helps retailers stay ahead of changing customer trends and prepare for growth. Both performance and entry level AnyPlace Kiosk units can be used in the AnyPlace Kiosk POS solution. A wide range of POS peripherals can be connected to the AnyPlace Kiosk POS solution, including a cash drawer, customer display, keyboard, printer or a second touch screen monitor, depending on a retailer’s needs. This support for a wide range of durable peripherals helps to leverage retailers’ investment in IBM retail peripherals, as these are some of the same peripherals used with many models of the IBM SurePOS family.